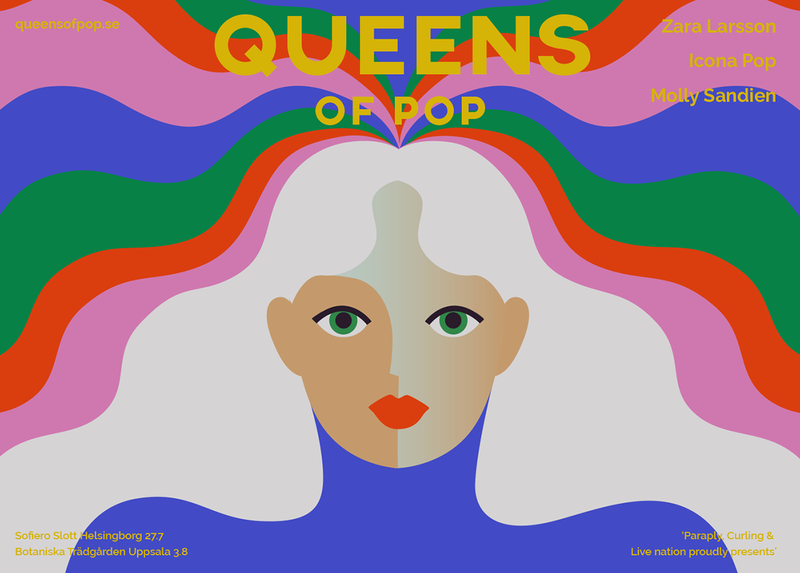 I created branding illustrations for a new Swedish festival called "Queens of Pop" launching July 2018 in Uppsala and Helsingborg. 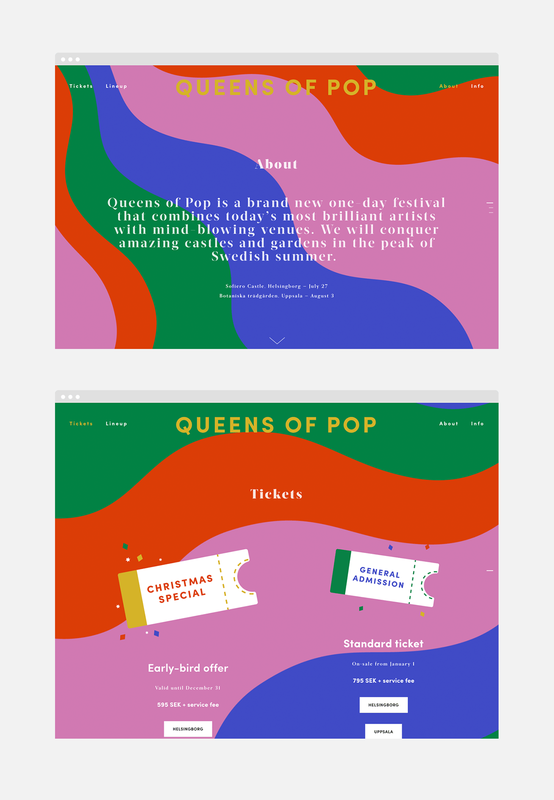 Queens of Pop is a new festival that combines today’s most brilliant artists with mind-blowing venues. 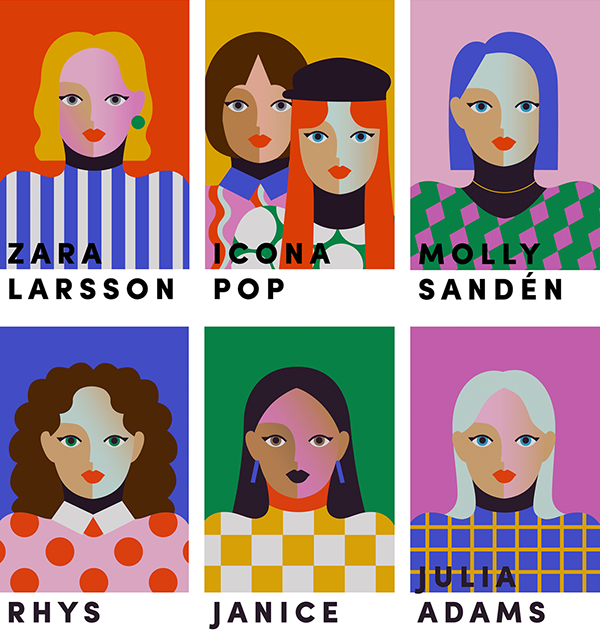 I helped them to have a powerful identity portraying the strength and independence of modern woman.